Kids are constantly learning, and keeping their brain active can speed up their development. There are tons of educational games and activities, but one of the easiest ways to keep kids brain active is with educational software. They feel like they are playing a game, but they are actually learning at the same time! Still, there are endless varieties of educational software packages, so here is my list of the top educational software programs for kids. If you click on the pictures, you can see more reviews of each individual software program. 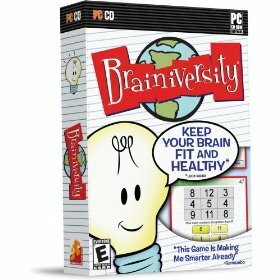 Brainiversity is a great overall educational game that trains kids in math, memory, and language using over 16 different activities. With the different options to choose from, it is not a game kids will get tired of too easily either. Best of all, the game is good for young and old, so with the difficulty levels being adjustable based on the player, Brainiversity just stays interesting over time. 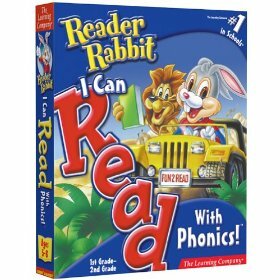 Reader Rabbit is hands down one of the best games for young kids learning to read. It is such a fun game, kids will keep playing it unless you make them stop, and they really learn something in the process. The game involves kids taking a virtual ride to “Wordville”, while on the way being taught about spelling and reading in playful language, and using fun animations. Every kid gets interested in the human body at one point or another. I remember when I was a child my friends and I would play doctor and nurse, and wonder about how our tummy worked. 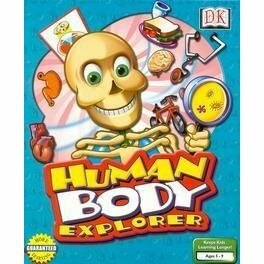 This fun educational game teaches children about the human body. The Human Body Explorer is a little less “game like” than some other software programs, because it uses a more direct educational approach. However, kids learn a ton of information from this program, like what all their body parts are called, and their functions. The software has a nice mix of videos, pictures, games to keep the interest levels high. Kids constantly ask and wonder about the world around them. 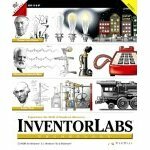 Inventor labs is awesome software that explains how the common things around them, such as a telephone, came into being and how they work. Animated characters depicting Thomas Edison and Alexander Graham Bell explain their inventions and kids can then play around with different combinations and possibilities within those inventions. ultimately, figuring out how things work, and why. This game guarantees hours of play time, and kids come out knowing things they are really excited about and might not be learning in as much detail in school. Who doesn’t love LEGO? The LEGO Preschool computer game introduces kids to a whole virtual LEGO world, where they can explore and learn about music, words, and numbers. They train analytical skills while having a great time playing around in the virtual world of LEGO. 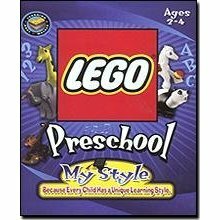 This game is really good for kids who already enjoy playing with regular LEGO blocks, and can use this familiarity to explore the game version. I also wrote a list of the top educational toys for baby on my wife’s colic site and I did a guest post on Google Tutor about the five most educational gifts for all kids. Is this a good gift list? Have you found a great learning toy for a gift this season? If so, let me know in the comments, I’m not quite done with my shopping yet and I’m sure others would like to know too!